James Tyberonn (Tyb) gave a presentation on Theta Consciousness during an event he and his remarkable wife hosted in Visalia. All who gathered found themselves embraced by the energy of the Giant Sequoias and Redwoods though the groves were more than 90 minutes due east just outside of Three Rivers in the Grand Sequoia National Forest. 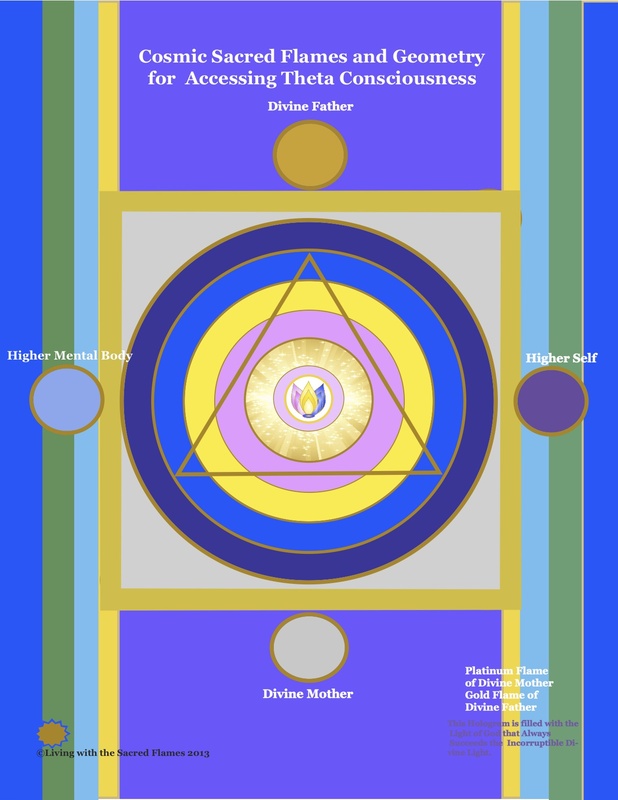 In essence, we were in the Theta field or portal held by these ancient, sentient beings. There were a few stunning observations that I made of our group quite quickly: 1) we were there for the Grand Sequoias – as if summoned aeons ago to appear in council at a time when many cosmic energies would converge, 2) the vast majority of those gathered had an affinity or a direct experience with Saint Germain, and, 3) the promised Aquarian technologies were clearly present in their early interactions as evident in the gemstones, various geometric based creations, essential oils, music, healing modalities and Sha Na Ra – one of two recognized authentic ancient Crystal Skulls, and I brought along the Sacred Flame Master Hologram for Theta Consciousness and the Living with the Sacred Flames book as an aid to support my intention. As I write this summary, I am not so sure bringing these tools were my idea alone. It seems to have been fundamental for me to initiate these tools in the great aura or portal of these trees. Just before, James spoke I felt inspired to place the Sacred Flame of Theta Consciousness and the Living with the Sacred Flames book on his podium with a prayer that we all have a collective experience of Theta consciousness that would help us deepen our connection to source and the Grand Sequoias as we meet in council for the benefit of all life. Friends, for me, I have never felt Saint Germain’s hand so present and vital as that day. inducement of theta brain waves and entrainment into the super-subconsciousness where many access languages, the akashic records and the ability to diagnose in a way similar to that of Edgar Cayce. so much more…we learned that a scientist repeatedly used theta waves to transfer DNA information from one sealed test tube to another test tube that changed original frog embryo into that of a salamander! Tyb was sensitive to the fact that heightened solar activity and transformation underway in our immediate galactic neighborhood could easily induce us into depression. He explained that our Sun does not emit a coherent energy – so our energy fields are disrupted as the Sun goes through its cycles. This depression for Baby Boomers is compounded by old beliefs of not deserving happines, isolation and the like. Tyb stressed that joy and happiness were crucial for accessing elevated consciousness and that Baby Boomers and the Silent Generation still living today are needed to move through this transition. He underscored the importance of self-care and living passionately. It was beautiful to experience my beloved Sequoia family with such as a conscious group of Elder beings. 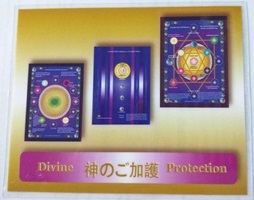 With Tyb’s explanations, I understood all of the phenomenon that occurred when I visited these magnificent beings over the years: invisibility, lost time, super lucidity, deep bonds of affection and love, sense of well-being and the presence of divinity. I had asked Mayan Elder, Grandfather Fermin and other elders about the role of these great trees during this great transition as I felt deeply that the Sequoia trees in particular had a key role. My own teachers from Tibet told me that many Bodhisattvas return to the earth in the form of these Giant Sequoia trees as the finest form or service to humanity. It all makes sense that my connection to these lineage would also link me to these trees I feel such an affinity toward. Now, the Sequoia’s role is no longer a mystery — these ancient beings must be protected as they are our direct link to preserving an environment that allows us to live on the earth. The Earth itself is not in danger — it has been humanity and the species we share the earth with whose material lives hang in the balance. The Sequoia trees can clean the environment and help us remember our exalted purpose for being in human form — love. They have gifted us with the knowledge of how to clone their species to establish groves anywhere in the world. David Milarch is carrying that mission on behalf of the these great beings. We spoke to David and he is being received by heads of state around the world. It is time to collaborate with the Earth and all of her intelligent, sentient beings. Being with the Sequoias and hearing Tyb share Metatron’s account of how these beings served us was confirmation that the Sacred Flames have returned and are ready to be used by humanity as tools to aid us in bringing forth the New Era. 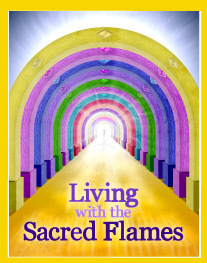 My heart leaps when I recall reading about the return of the sacred flames more than 30 years ago, and now, here we are with this great gift of living in a time of their return on the Earth. I see that many are remembering these tools and bringing them to the earth in various forms. 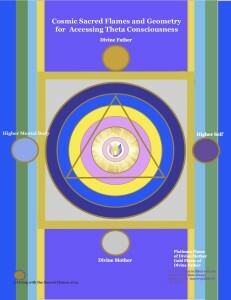 Light, color, geometry and sound are being used in may creative ways to awaken us in mass through resonance. Theta Consciousness is a necessary component for the exalted use of these Aquarian tools. May you find your own way of stepping into Theta consciousness and waking up to the great treasury that is already at hand. 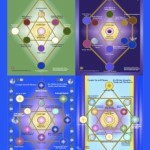 Visit our www.4dshift.com to learn more about Sacred Flames, Orgone, Moon Drops and Flower of Life Jewelry. Surround yourself with the tools that will aid your inner shift to bring about the outer shift into fulfillment of world we want to live in! Myra Jackson, lives on the razor’s edge of the great unknown as a Mystical Being in service to GAIA as a beacon of light for the benefit of all her life-forms. An Evocateur of the Sacred, she delights in bringing forth those ideas whose time has come in support of the great awakening and unfoldment of consciousness. 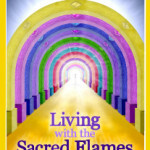 The Sacred Flames are a holographic technology based on color frequency and geometry. 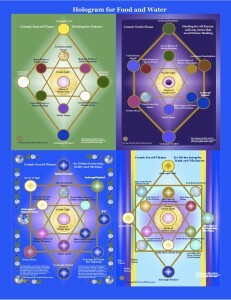 They are inspired tools to aid humanity as our species transitions from one age to the next. The flames can be used to clean up the environment, to heal areas that we could not reach before, to bring peace on earth so that we may create heaven on earth. We find the Sacred Flames to be utterly powerful. It is time to anchor the Sacred Flame energies and frequencies on the earth so that we can thrive and support the intention that the rest of humanity can thrive in harmony with Earth’s many beautiful life forms. There is a high level of interest in these technologies and we are preparing for a high demand for these tools. 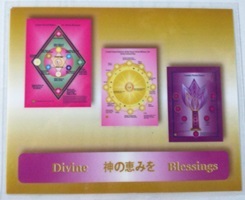 Visit our website at www.4dshift.com to take a look at the more than 24 Sacred Flames already in hand with more coming.